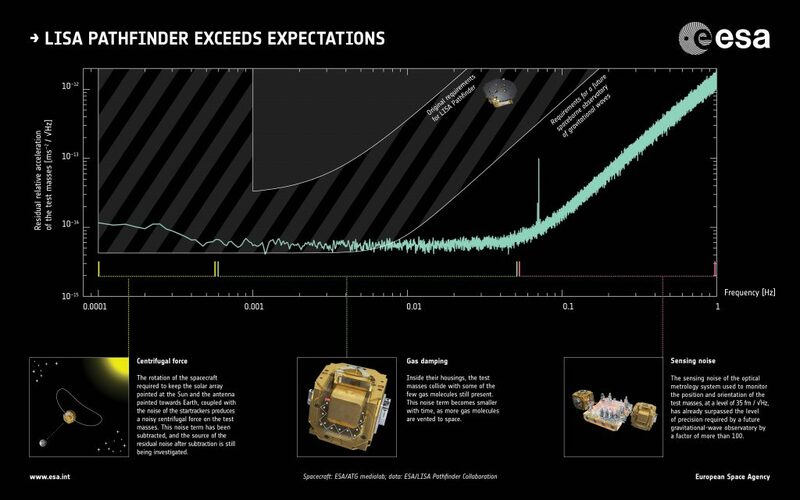 LISA Pathfinder is ready for a new – and final – journey to the Sun! On 18 July, the LPF mission will conclude with the final commands sent to switch off the on-board transmitter. Since April, the mission operations team in Darmstadt have been working to ensure a safe and smooth end-of-life for this fantastic technology demonstration spacecraft. For disposal, the spacecraft has already performed a de-orbit manoeuvre to leave its Lagrangian orbit and start to drift ahead of the Earth in a heliocentric orbit around the Sun. The spacecraft now has an orbital period a few days shorter than that of the Earth, keeping the spacecraft safely out of the way and drifting serenely around the Sun. After a great deal of preparation by the mission’s science and operations teams, no surprises are expected during the final weeks. 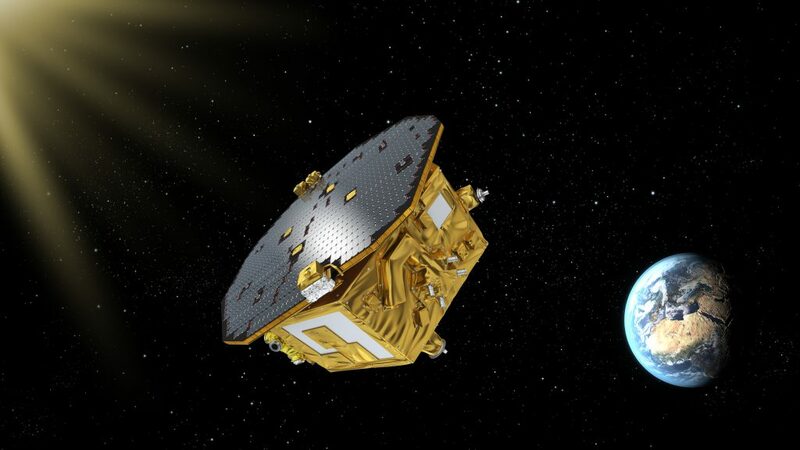 LISA Pathfinder’s decommissioning started in April 2017 with a manoeuvre lasting 5 days that committed the spacecraft to leave Lagrange point L1, which is an orbital equilibrium point between the Sun and Earth, 1.5 Mkm from Earth. The spacecraft did not leave its routine orbit at L1 immediately; the de-orbit process has been a gradual process that will take several months for LPF to finally ‘abandon’ Earth. The final few weeks saw the end of science activities on 30 June followed by, now, a period of in-flight hardware testing leading up to final switch off and end of commanding on 18 July (see LISA Pathfinder To Conclude Trailblazing Mission). Teams at ESOC began end-of-mission operations on 7 April, when LPF started moving from the L1 Lagrange point (more about its trip to L1) onto a heliocentric orbit. Lagrange orbits are particularly suitable for deep-space observation missions as they are far enough away from the Earth to be extremely stable thermally, they avoid eclipses of the Earth and Moon, but remain in sight of the Earth for simple daily communications. Ian Harrison, LISA Pathfinder’s spacecraft operations manager at ESA’s ESOC mission control centre in Darmstadt, Germany, is quite satisfied with how the mission has run. 30 June marked the end of the science mission and, at the same time, the beginning of the hardware investigation phase. As an all-round technology demonstration satellite, LPF carries industrial experiments that need in-flight hardware and operational testing. The results of these tests so they will later be available to anyone. On 18 July, LISA Pathfinder’s transmitters will finally be switched, off silencing the spacecraft forever. 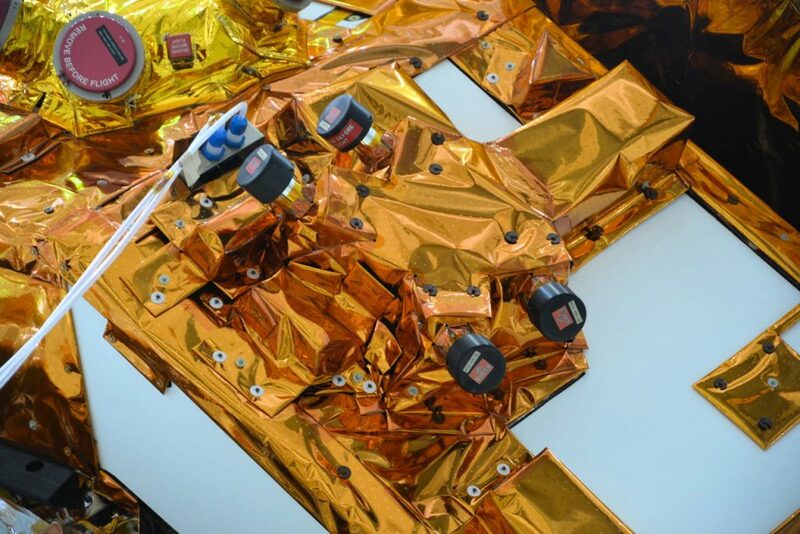 A number of delicate precursor activities will be performed to ensure that the spacecraft is never able to autonomously start transmitting again. This ensures that LPF will not cause signal interference with another mission in the future; this will be the last operation to be performed. LPF carries experiments from both ESA and NASA, that have tested the concept of gravitational wave detection and new operations techniques. LPF instruments, the inertial sensors, the laser metrology system, the drag-free control system and an ultra-precise micro-propulsion system make this a highly unusual mission (see details on the NASA-supplied DRS instrument). The mission lasted 16 months, including a seven-month extension, and saw very intense science operations, which required the regular presence of scientists on site at ESOC as well as efficient coordination between the ESA and NASA science teams. In the days leading up to and including 18 July, we’ll post regular updates here in the Rocket Science blog and via @esaoperations in Twitter.